Located on the far eastern end of the island (and thus a little harder for the working adult to access), Temasek Polytechnic’s Culinary Academy is home to two student-run restaurants. 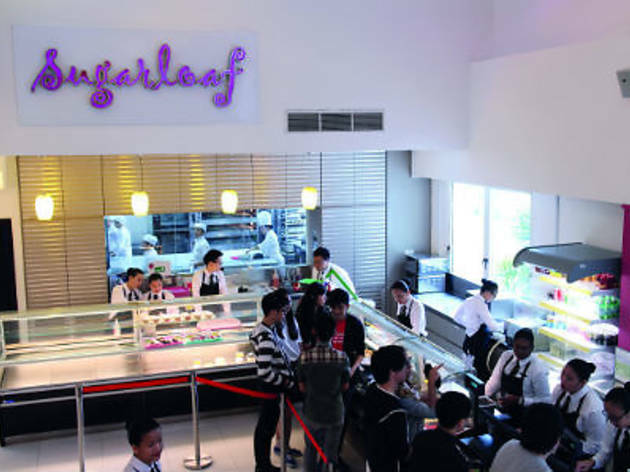 Sugarloaf, located on the ground floor of the school, is the more unassuming of the two, dishing out quick-service salads, sandwiches, pastries and the occasional local fare with a canteen-style ordering system. 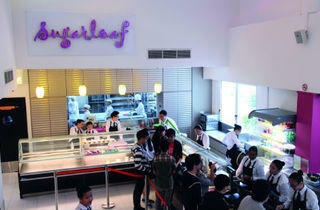 Staffed by the students working towards a diploma in Culinary and Catering Management at the polytechnic, Sugarloaf’s main clientele are its school’s students, who benefit from having a better-than-average canteen option. Unique here are the fishbowl-like windows that offer a close-up peek of the students at work churning out prawn pasta salads and strawberry cheesecakes at a quick clip. See website for cafe opening dates.